This is why you give politicians as little control over your life as possible, if you’re smart. Because politicians are the dumbest people in our society. 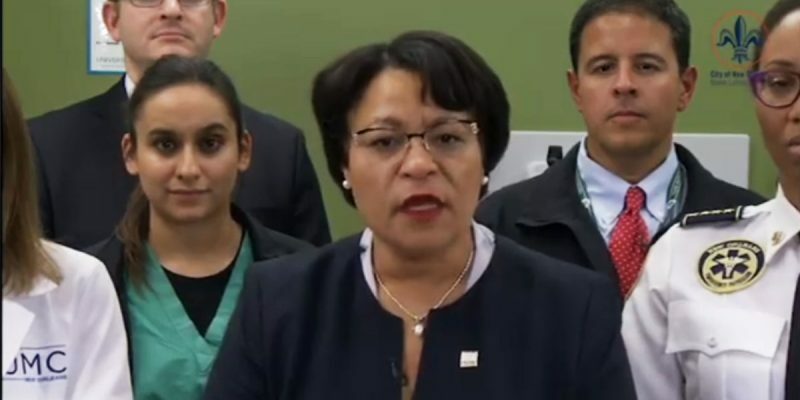 And if they’re Democrat politicians who run cities, like for example LaToya Cantrell, who’s currently running New Orleans into the ground, the stupidity tends to reach the stratosphere in short order. Got that? Five hundred dollars for any gun in working order. No questions asked. Meaning you can head to Cabela’s in Gonzales and there are at least 30 different models of pistol you can buy for under $400 and turn them around at Cantrell’s event for at least at 25 percent profit. No questions asked, she says. Or if you prefer, you can unload your old firearms which aren’t worth anywhere near $500, so long as they’re in working order, and get paid enough that you can upgrade them to the newer, better stuff. Which is anything but uncommon. That’s awfully generous of Cantrell. Gun buyback programs are a classic leftist feel-good exercise, aimed at making stupid people believe the politicians are “doing something” about violent crime. But of course they aren’t – the gang-bangers aren’t going to give up their guns, or if they are, they’re just going to get other guns after they’ve pocketed a few bucks off the idiot politicians buying them at a premium. Because you need a gun if you’re a gang-banger. And if you live where the gang-bangers ply their trade, you probably need a gun, too. Meaning that these gun buyback programs don’t actually get any guns off the street at all. But don’t tell that to Cantrell. She doesn’t want to hear that copying Baltimore and DC and New York and Los Angeles won’t make New Orleans a safer city. That’s not what she ran on. And definitely don’t tell her that $500 for every working firearm no matter what type and no questions asked is not how this works. Do that and you’ll spoil the whole thing. So we’ve just given our readers the best investment opportunity imaginable. Feel free to hit every pawn shop on the way to New Hope Baptist Church and gross $500 per piece you secure along the way. You might just break LaToya’s bank if you work at it hard enough.